With a truly unique feel, this construction has something for everyone to like. 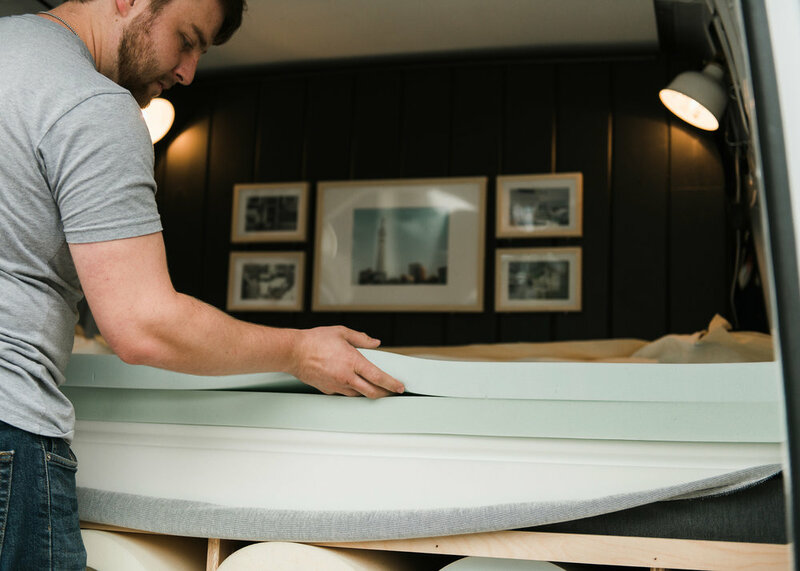 The hybrid foam layers on top have better pressure relief than springs, but better bounce and support than memory foam. Meanwhile, it’s base boasts the highest density foam core (2.2 lbs/cubic foot) of any mattress available on the internet. This temperature-responsive foam provides the best of both worlds: superior pressure relief paired with more bounce and resilience. The 3.0 pound density and 10 IFD pairs a soft touch with plenty of body contour. The same temperature-responsive, memory foam/latex-like foam used in the top layer, only with a firmer IFD rating, making for perfectly blended support as your body sinks towards the base layer.